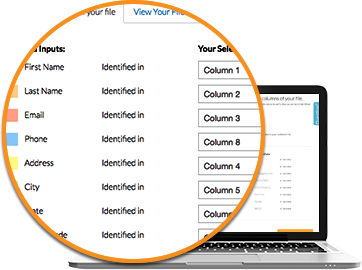 If you have a list of users, customers or prospects, we can append to it. See how it works below. Step 1: Prepare your spreadsheet. Last Name will be in a separate column. The file will need to be saved as a .CSV file. You will need at least one of the following input types to run an append on Datafinder. Tip: Providing multiple Inputs will yield better results, so please include as many as you can. For the highest level of accuracy, please include First Name and Last Name as Inputs. How to set up your file. 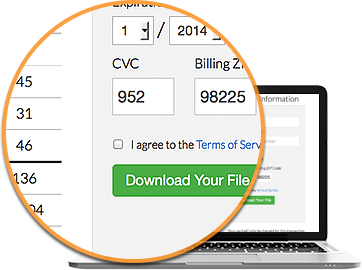 How to save your spreadsheet to a .csv file. Step 2: Select your data source. Select data source that you want to append data to. 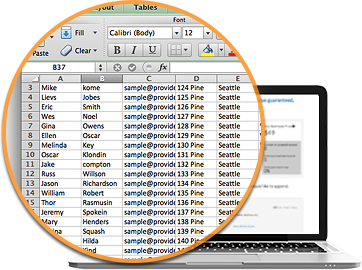 Your data can be imported from a CSV file, Salesforce.com or ConstantContact.com. Your data is safe with us. We will not sell your data to a third party. Step 3: Select the Input types that are included in your file. 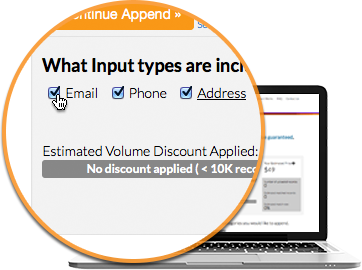 Select the Input types to use when we append your file. 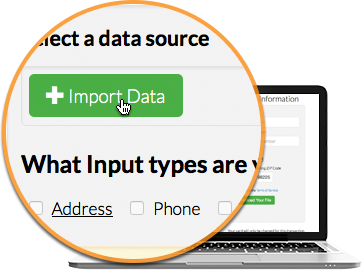 We will use these Inputs to append LifeData® to your file. Step 4: Select the LifeData® categories to append to your file. 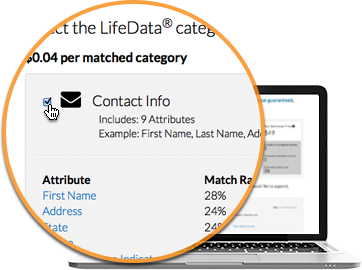 Select the LifeData® categories you would like to append by checking the boxes next to the category title. You can view all of the category attributes and estimated match rates by clicking the "View All Attributes" link. Step 5: Start your list append. 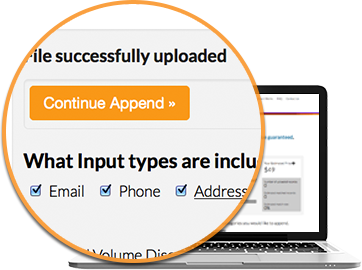 Click the the orange "Continue Append" button to begin appending LifeData® to your file. Step 6: Verify the content in the columns of your file. Review the drop-down fields to verify that we correctly identified your columns or make corrections. Once verified, click the "Finish Button" to finish your append job. Step 7: Download your appended file. One your append job is complete, you will receive an email with a link to view your match report, purchase and download your newly appended file.